Brazil is currently implementing the Brasil Sem Miséria programme — a continuation of the successful Fome Zero— which aims to do just that, Marques Porto says. Initiated in 2003 by former president Luiz Inácio Lula da Silva, Fome Zero is credited with having taken 30 to 40 million Brazilians out of poverty. One of the core actions of the programme was providing poor children with free school lunches, which were purchased by the state from family farms. In this way, support to local small farmers was provided at the same time as offering quality nutrition to children from low-income families. 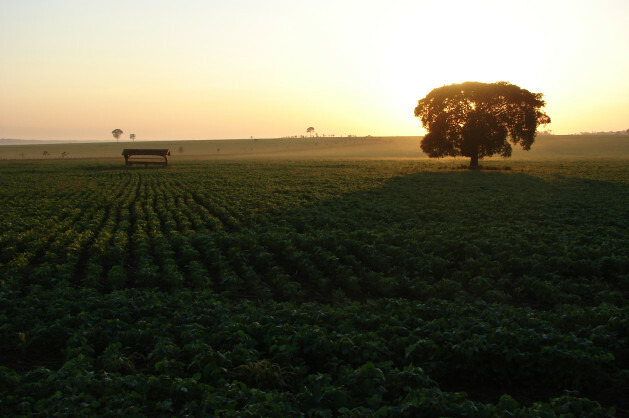 According to Marques Porto, supporting family farms – which currently provide 70 percent of the food eaten by Brazilians – is central to poverty alleviation. The success of Fome Zero was due to three elements, thinks Oxfam International’s Luca Chinotti: the strong leadership provided by President Lula; the broad partnership involved in devising and implementing the platform, which included ministries, civil society, representatives of small farmers and rural workers; and shifting most public sector food purchases to family farm suppliers. Brazil is sharing its experience with family farm produce purchases for poverty alleviation with other countries around the world, as part of the World Food Programme’s Purchase for Progress framework, says Marques Porto. Over the past decade, Brazil has been deriving much of its wealth from food exports. Yet its large-scale soy and beef production for export are also responsible for deforestation and biodiversity loss in the Amazonian region. Furthermore, clearing of land for industrial agriculture is threatening livelihoods of local communities. Oxfam and other NGOs are now calling on all countries around the world to implement those guidelines in order to secure smallholders’ access to land and natural resources. This year, the U.N.’s High-Level Panel of Eminent Persons on the Post-2015 Development Agenda proposed that clear targets on land tenure are included in the development framework that will replace the Millennium Development Goals after 2015. If adopted, such targets could play an important role in preventing land grabbing and protecting the food security of local communities.